Under the background of global economic integration, hardware locks strive to transform the development thinking, meet the needs of consumers at different levels at home and abroad, and achieve a sound and rapid development of the lock industry. Hardware locks are related to the security of each of our families, units and public places. With the progress of the times, various types of hardware locks with different styles, materials, structures, and functions have emerged one after another. Over the past 30 years of reform and opening up, Chinaâ€™s hardware lock industry has grown in size, product coverage has continued to expand, corporate brands have become stronger, and industry competition has become more intense. At present, China's most important hardware lock production base is concentrated in Zhejiang and Guangdong. In terms of product types, padlocks, ball locks, and handle locks still have a large market space. However, special-purpose lock products are also developing with upstream products. As a result of changes, smart locks and building walkie-talkies have become indispensable functional products in modern social life support. The seemingly inconspicuous little hardware lock actually contains a huge gold mine. At present, China's hardware lock industry has an annual sales of about 60 billion yuan, and its output exceeds 2 billion. It has long been the world's largest producer and consumer of hardware lock products, and has formed three major production bases in Zhejiang, Guangdong, and Shandong. Our products are mainly padlocked, and we have developed more than 8000 varieties and specifications for more than 100 series over 20 categories; from traditional single-leaf locks and double-leaf locks to ball-shaped door locks, handle locks and core inserts. Locks, electronic locks, magnetic card locks, IC card locks, car locks, motorcycle locks, fingerprint locks, digital locks, etc., and expanded toward the integration of mechanical and electrical integration, intelligence, and functionality and decorativeness, and basically formed high Medium, low-end supporting product system. According to customs statistics, in 2012, China's hardware lock products were exported to 208 countries and regions, and the cumulative export value reached 5.229 billion US dollars. However, due to the lack of brand influence, the average selling price of Chinese hardware locks is only 1/15 of that of Britain and the United States. After the Chinese hardware lock products OEM to the international big brands, the price rose to more than ten times the original price. Poor brand awareness is a common phenomenon in China's hardware lock industry. Its most direct performance is the lack of investment in designing R&D, purchasing advanced equipment and molds, training professionals, and after-sales services, which seriously restricts the development of the industry. Poor brand awareness has made the company's development thinking narrow, and the industrial chain cannot be extended. It is difficult to form a complementary and serialized product development. An industry that lacks brand awareness is hard to make famous brands. At present, domestic enterprises are basically in a state of single combat, and the market has always been in a fragmented development. Most enterprises have become "employed" enterprises for the production of international brands. 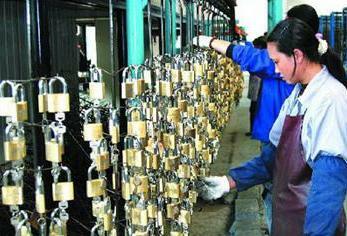 China's hardware lock production has the same long history as other traditional industries. China's hardware lock industry has no lack of advanced design and high quality products, and is comparable to advanced countries. Today, what we have to do is to regain confidence, focus on technological innovation and product innovation, accelerate the implementation of brand development strategies, and strive to promote the lock industry transformation and upgrading. Potassium Fulvate is a kind of natural mineral active potassium fertilizer which regards small molecule Fulvic Acid as carrier. The small molecule Humic Acid is able to dissolve silicates containning potassium and potassium feldspar which could improve rapidly available potassium content in the soil.Its use ratio is 80% higher than common potassium fertilizer.It's appicable to any crop.It could increase crop yield,quality,nutrient content and taste obviously with a combination of the special functions of fulvic acid.It also make crop have the feature of long storage period.